I got this as a Kindle First book, and it’s the first of those I’ve actually finished, much less posted a review on. I have a 14-year-old daughter and the quirks of these kids really rang true – despite these being “troubled kids” I could see a lot of normal teenager stuff in them. 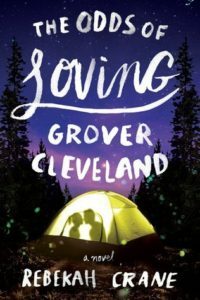 It was clear that the author knows teens and was writing from a place of love and caring. While the characters occasionally drifted into trope-teenager land, for the most part they were original and believable and had me rooting for them. I would have liked Bek to play a little bigger part – he was definitely the forgotten fourth in the group. The storytelling was done nicely, only a tiny heavy-handed at times and no worse than any other YA “issues” novel. The pacing was excellent and kept me turning pages and I really loved the relationships that developed. My biggest complaint was that in the end, everything suddenly worked out – very suddenly – in such a magical fairy-tale way.